Clare Strand was born in 1973. She studied at University of Brighton and the Royal College of Art in London. She lives and works in Brighton. Strand confesses to not have a single photographic style, preferring to respond directly to her subject. While her research and planning is meticulous, the final outcome can be somewhat vague, her preference being to leave room for reflection. The aesthetics of the piece come second to the formulations and generic expectations. 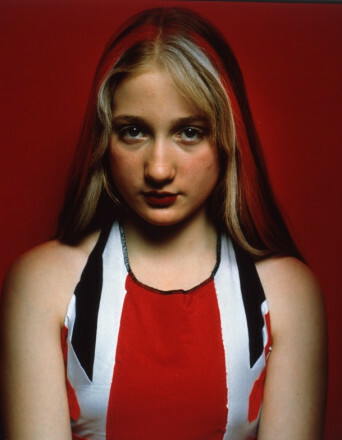 In 1997, Strand produced a series of portraits entitled Spots and All, which featured average, awkward looking teenage girls posing in front of a red velvet curtain. 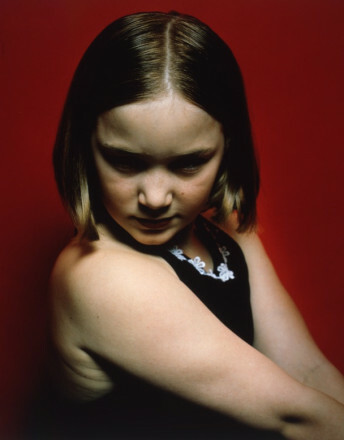 As part of this series, Strand included the portraits of five young girls posing as the iconic girl band the Spice Girls, which gained worldwide notoriety in the 1990s. Aged between twelve and fourteen, each girl takes on the persona of one of the five band members, namely Posh, Scary, Baby, Ginger and Sporty, and tries to embody the ‘Girl Power’ ethos that became the essence of the group. Some of the girls appear to be unable to quite fulfil the stereotypical femininity required, while others appear much more confident in presenting their alter ego. Strand tries to highlight how the viewer’s attitude towards the girls’ futures is predetermined by beauty rather than personality or individuality. 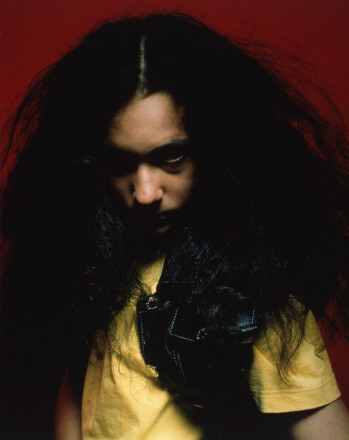 Strand has exhibited both in the UK and extensively overseas including recent solo exhibitions at Museum Fur Photograhie, Germany, 2009; Fotagrafins Hus, Sweden, 2008 and the London College of Communication, 2003.